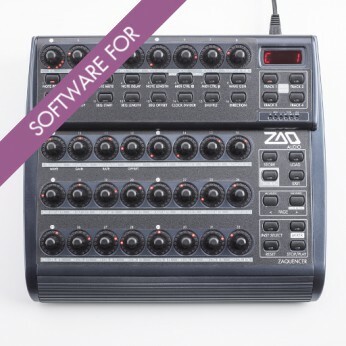 The Zaquencer Firmware is a custom Firmware that will turn your Behringer BCR2000 into a powerful, standalone midi sequencer. Before purchasing, please try the free Demo on your BCR2000. Also, please read this in this regard. The Behringer BCR2000 is not included in this purchase and must be bought seperately. void the warranty for your BCR by uploading it. Please note that you will also erase the Flash memory of your BCR by uploading the Zaquencer Firmware (Please backup all the mappings you might have made). The Zaquencer Firmware is only intended for use on the Behringer BCR2000 (does not work on BCF2000 or any other device). System requirements: For upload, a PC or Mac with a MIDI Interface is required. The Zaquencer Firmware is copy-protected. The authorization can be completed on zaqaudio.com immediately after upload of the firmware. One purchased license will authorize exactly one device. It is not possible to transfer the license between different BCR2000 devices. With this purchase, you are buying the firmware on a CD-ROM (will be shipped). Please also see Shipping & Delivery. In addition, you will always find the most recent version as a free download in your account after purchase.